My name is August. I won’t describe what I look like. Whatever you’re thinking, it’s probably worse.’ Auggie wants to be an ordinary ten-year-old. He does ordinary things – eating ice cream, playing on his Xbox. He feels ordinary – inside. But ordinary kids don’t make other ordinary kids run away screaming in playgrounds. Ordinary kids aren’t stared at wherever they go. Born with a terrible facial abnormality, Auggie has been home-schooled by his parents his whole life. Now, for the first time, he’s being sent to a real school – and he’s dreading it. All he wants is to be accepted – but can he convince his new classmates that he’s just like them, underneath it all? 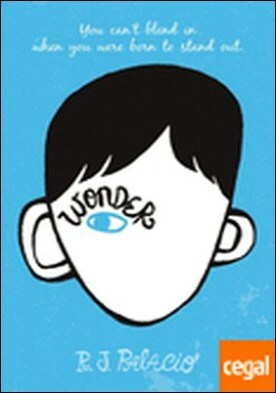 Now featuring a brand-new chapter told by bully Julian, WONDER is a funny, frank, astonishingly moving debut to read in one sitting, pass on to others, and remember long after the final page.